The Merritt College Environmental Management and Technology (ENVMT) Department and Environmental Center (Self-Reliant House) are located in the Oakland Hills between two wild land watershed open spaces. The department is one of the first in the nation and well known for both its introductory courses and hands-on field courses in diverse subjects taught by working professionals. Gain skills in ecological restoration. Understand sustainable systems and current management applications. Learn environmental stewardship best practices. Expand your outdoor education techniques and communication artistry of natural and cultural history. Gain fundamentals in local and regional planning. Delve into urban food production in home gardens or expand to school and community gardens or even farms. ENVMT courses are part of the new Natural History & Sustainability Program, which is in the process of developing two new Certificates of Achievement in Conservation & Resource Management and Urban Agroecology. These certificates are planned to be active by Spring 2020. 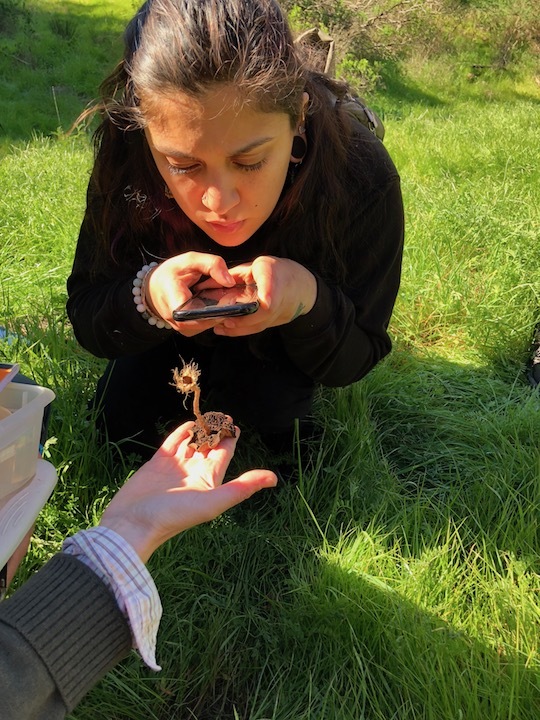 For questions about any of our programs, contact Program Chair Laura Forlin at lforlin@peralta.edu or Natural History & Sustainability Program Director Brad Balukjian at bbalukjian@peralta.edu.